Project management software is a suite of tools that helps improve production teams’ efficiency. They usually come as cloud-based, multi-user platforms that host features such project planning and scheduling, collaboration, advanced reporting, and project budgeting, among many others. They are meant to ensure that all project stakeholders are constantly in the know and that every project is delivered on time. For a basic definition of project management software, such a system is basically a tool that helps business owners, project, and people managers track the progress of deliverables. These tools make it easier to collaborate, track, and complete tasks as they come. It’s also a great tool for knowledge sharing, as it encourages proper documentation throughout the organization. In a case study by the Project Management Institute, the company Du Telecom was able to achieve a 32% growth rate in its first four years. The company attributes this growth to having secure project management practices. This underscores just how important having secure project implementation and management is—and using a project management software can assist you with this goal. What Are Examples Of Project Management Software? Wrike – Wrike is one of the best solutions currently available on the market. It’s used by Google, Adobe, and HTC, and is a user-friendly system that will very easy to understand for your team. With this tool, you can oversee overall progress, identify bottlenecks in your campaign, and even cross-reference tasks with other tasks, so that you can identify dependencies across multiple projects. If you need a reliable Wrike alternative check out our other comparison articles. Asana – One of the best things about Asana is the fact that it is an all-in-one solution. Your users won’t need to use any third-party applications to make full use of Asana. In fact, in our review, we point out that users won’t even need to use an email for the notifications. Collaboration is also made easier as each individual user will have their own workspace within the system that they can arrange to their own specifics—which makes it possible for each user to personalize his or her own workflow.  Trello – If there’s anything that Trello has going for it, it would be its simplicity. As a reliable Asana alternative the entire interface of Trello utilizes boards (for projects) and cards (for tasks), and it is all presented in an easy to understand graphic user interface. Whether you’re using it via the browser or your phone app, Trello can simplify the way you approach each project. But that doesn’t mean that it isn’t powerful; users can openly discuss tasks within the cards via the commenting feature, and the solution also works as a convenient documentation tool. You can also integrate this app with third-party file storage solutions—making it a great tool for anybody dipping their feet into the project management software world for the first time. Podio – Podio’s strength comes from the fact that its user interface feels pretty similar to most popular social media platforms. The collaboration within Podio happens in real-time, and the threaded view of each page is organic and uncluttered, making it easy to take in visually. The interface makes it one of the best documentation-oriented apps in the market, and coupled with a strong technical support staff, Podio is more than enough to tackle the day-to-day activities of multiple projects of varying scale. ClickUp – ClickUp is a simple and intuitive project management system created for all user types. 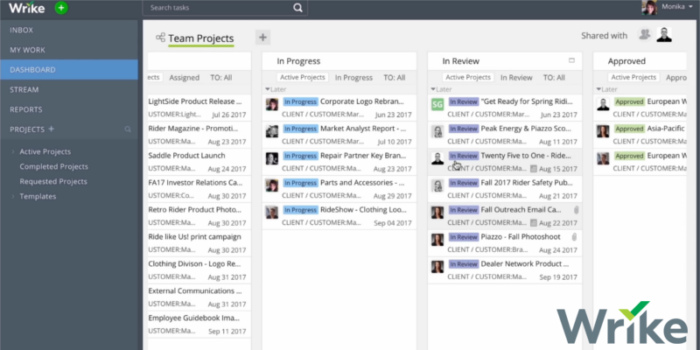 It’s a good Clarizen alternative that’s basically a hybrid project management solution. On top of that, it is loaded with tons of proprietary customizable features. The system offers a number of modification options so that you can tailor it to work for you, whether you are a manager, developer, or someone else. Azendoo – A collaborative web platform, enabling companies to increase their productivity, align their various teams and get work done. It has been established on the model of social networks to amply respond to the needs of any corporate organization. Advaiya AdValue – A project management application created to facilitate the speedy deployment of Microsoft Project Online as well as to simplify and broaden its adoption. This particular platform allows project managers, resource managers, and other members of the team to fully utilize standardized processes, create visualizations of their project, and analyze and comprehend project data so they can come to intelligent, guided decisions quickly. TimeLive – online time tracking software built to help businesses and organizations track the performance of their staff and all related expenses and compare them against each task. It is a smart, intuitive, user-friendly time tracking platform that enables users to manage their time and projects, optimizing their resources, plan and execute viable schedules for manpower and resources so that optimum productivity and efficiency are both achieved while keeping operational costs and other project spending down. For a broader discussion of these and other popular solution check out our project management software category. Real-time collaboration – Project management software should be great collaboration tools because is can give users the capacity to work in collaboration with each other in a shared space—without sacrificing each user’s focus. This means that teams can focus on their own individual projects, team leaders working on multiple ventures can keep an eye on multiple projects, and managers can stay on top of everything as things happen, without affecting other’s productivity. Sharing documents – Part of the real-time collaboration feature is the ability to share and work on documents with other members of your team. This can be made easier with project management solutions that allow you to integrate third-party cloud storage apps into the system, making long-distance collaboration a simpler endeavor. Cost management – One of the biggest challenges faced by project managers is accurately predicting costs, and mitigating them. Project management solutions should provide their users with accurate reporting options that can aid in cost projection, identifying sources of excess cost, and streamlining the production schedule to address any current and potential cost issues that may be present. Reporting – Efficient cost management wouldn’t be possible without the help of reliable reporting. A good project management software gives its users the ability to adjust their report formats. This means that you can streamline and include only the data that you need for a specific set of milestones. This capability will be instrumental in identifying the proper KPIs in a project, and can be key in identifying positive and negative components. Ease of use – Since the goal of project management software is to make the entire endeavor easier for all of its users, most, if not all, project management solutions available in the market are easy to use and easy to understand. Each one boasts a different design and UI from each other, but the general thrust is towards making the dashboard and options intuitive and simple to master. Easier Documentation – In connection with easier collaboration, project management software make documentation easier as well. This means that projects can be used for analysis and re-implementation in the future, and the solutions provided by previous teams can be implemented by other teams in future projects. We’ve defined what is project management software, but how does it work? Or more specifically, what are the various types of these solutions, and how do they function? There are several variants, and the categories are divided mostly by the installation location of the application, or the intended size and utilization of the app. On-Premise – These are solutions installed locally into your company’s servers. This means that, barring special circumstances, access to the system is restricted to devices connected to your local servers. You can also call these apps locally-hosted project management software. Cloud-based – These are basically project management apps that are hosted on cloud servers, which means that your users and your clients can access their projects wherever they may be, usually through a web browser. Cloud-based apps can also include some individual project management software and some on-premise options also have web-based versions too. Individual – For those of you with a very light need for project management solutions, or those who want to test the waters before diving in, an individual software will be just the right fit. These systems are web-based and lightweight, meaning they won’t be as feature-laden as other, more complete applications, but will be simple and straightforward enough for any individual to understand. Open API – These types of project management software provide their end users with the capacity to add to the already existing application. They can be great for those of you who have an app that you like, but would like to adjust a little bit to suit your preferences. These apps can also give you greater freedom in setting up your projects, since you can adjust components to suit your specific business needs. Project tracking. This is the most basic function of a project management software: tracking your projects. This includes being able to track who worked on which task last, the general overview of the entire project, identifying bottlenecks, and identifying performers. Easier collaboration. This is another goal of project management software. It makes it easier for coworkers to check on the latest changes to a project, pick up where they left off, or pick up from where their colleagues left off. Better communication. Part of the collaborative effort involves better communication, and the best project management software should make person-to-person and department-to-department communication easier and more efficient. Documentation. Since tracking a project involves documenting the knowledge gained throughout the entire endeavor, proper documentation is key. This means your app should be able to help you and your team simplify the process of documenting changes, technology, project updates, and new intelligence. Accurate dashboards for reporting. This is an important purpose of project management software. Accurate reporting is a key component of identifying your company’s KPI, and project management software should help you in generating the best reports for your business. They even give you the option of setting up dashboards if you want a quick look at how you’re currently doing. What Are The Factors To Consider When Getting A Project Management Software? Task and project creation. Most of the time, you’ll be using your project management software to create cyclical, templated projects. But once in a while, you’ll want to create unique tasks and projects for your company’s needs. The flexibility between creating unique tasks and projects and setting up templated ones is integral in ensuring that you are able to tackle projects of different shapes and sizes. Simple and efficient reporting. If you’re going to be working with a project management system, you’ll need accurate report creation powers. This feature is found in all of the best apps in the market. And for good reason: when you’re working on a project that blew up in terms of man-hours and budget, you will want to be able to pinpoint just how much you spent on the project, and what caused the problem. A good reporting feature will go a long way in helping with this. File sharing options. It’s always awesome whenever a project management solution offers decent storage space for all the files you’ll be sharing. But sometimes, having the option to use a third-party storage solution like Box or Dropbox can be helpful too, especially if you’re more familiar with another cloud storage provider. Intuitive and clean UI. A good user interface can make or break a good project management team. Sometimes, having an easy time using the application can be more important than what the application can do. Reliable support. Who are you going to call when something breaks in your project management software? Knowing that you’re working with people who are willing and able to help you come up with a solution to your app’s issues is a treasure. The cost of a project management software depends on the software, your specific needs, and your billing period (monthly or annual). The good news is that a lot of the best apps in the market provide their service for free, up to a point. There are others still that offer a trial period for those who aren’t sure of what they need yet. To illustrate, here’s an idea of the price points of three of the best apps that we’ve reviewed. Wrike – This software is reasonably expensive. There is a free version that lets you give the service a shot; the catch is that you’re limited to up to five users in your account. Unless you’re a small group, this doesn’t account for much. This is, however, enough to showcase just how powerful Wrike is. The paid monthly membership starts at $9.80 per month, which progresses all the way up to $34.60 for their Marketers package. The features improve steadily as the price goes up. Enterprise clients that need more features can also discuss this with the provider, and they will provide you with a quote for your specific build of the product. Wrike bills its clients annually. Asana – Asana also provides a rather flexible free service for clients with a small to medium-sized team. They also make most of their features available for their free members, but there are some limitations with reporting and dashboards. They also provide a monthly service fee for larger teams, starting at $9.99, with added features that can’t be found in their free version. This includes no limit in team membership; however, it has been said that once you cross a threshold of users, Asana will start reducing the features available to you. There is also an enterprise account, which will require you to discuss your specific needs and requirements with the Asana development team. Asana provides a monthly and annual subscription. Trello – At the farthest end of the spectrum lies Trello. It provides a completely free service that’s perfect for SMBs. But if you want a little bit more oomph to your service, you can enroll in their Business Class service for $9.99 monthly. This gives you plenty of additional features and third-party integrations, which can greatly change the way Trello can work for you. As with the first two examples on this list, Trello also provides a quote for Enterprise services, and accepts monthly and annual subscription. What Are The Potential Issues With Project Management Software? Despite all of the advantages of project management software, there are still some potential issues that you may need to consider. Complication of simple projects. Some projects can be straightforward and simple enough to complete without relying on project management software. These things can definitely improve the deployment of larger projects, but when you’re working on something that’s fairly simple, you might not actually need this service. Cost. Before you invest in a full project management solution, it’s always best to try the free versions first. This can give you a better idea of what a product has to offer, and can be the best way of telling whether you can afford the application, or if it won’t be a good investment in the long term. Security. The biggest issue most people have with placing their data on a server that’s not hosted on-premise is that security becomes a concern. Since the majority of project management solutions are hosted in the cloud, the issue of security is a thorny one. It makes it easier for employees working remotely to unwittingly leak information to third parties. Vendors have worked out a way to address this: by ensuring that you can restrict access to sensitive information to key employees, and by proper logging of who accessed which parts of the software, you can rest easy that your company’s security is being addressed. What Are The Latest Project Management Trends? While project management is basically ensuring that the company’s KPI requirements are met, some of the trends in the industry seem to be evolving towards the more intangible side of a project and its team, rather than just plain metrics. And what is project management software doing to address these trends? Emphasis on strategy over the project itself – This is a trend that started developing when project management started veering away from individual teams, and instead focused on harmonizing goals for all the teams throughout the company. Some organizations have even gone as far as centralizing the project managers into one project management team, in order to improve the communication between each stakeholder. Project management software is tackling this head on by simplifying the organizational structure of employees within their system. The end of email – This is a relatively recent trend that arose from the need of centralizing all internal and external communication into one point of access for easier retrieval and review. This has always been one of the issues addressed by project management software. 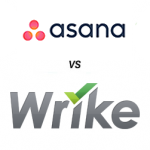 Best Online Project Management Software: Asana.com or Wrike.com?